Located between the sheltered haven of Findhorn Bay and the wilder north-facing Burghead Bay, Findhorn enjoys an attractive and apparently idyllic setting. But history has shown the location can also have its dangers. A village is referred to here as early as 1189. But the precise location has moved over time. Storms in the 1600s led to the original village being buried by sand dunes; and the replacement village was lost to floods in 1701. What you see today is Findhorn's third incarnation. 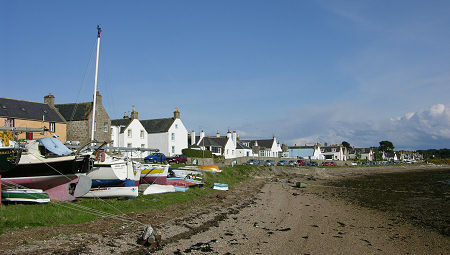 The village's growth owes much to Findhorn Bay. This is a narrow-mouthed inlet that stretches some two miles south from the sea and opens out to a maximum width of around two miles once inland of the dunes and immediate coastal zone. Much of the southern part of it is exposed as mud flats at low tide, and the area is a haven for birds, and for ornithologists. 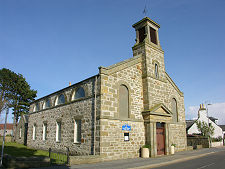 Findhorn was for a time an important commercial and fishing port with a thriving shipbuilding industry, complete with trading links with Baltic and Scandinavian ports. 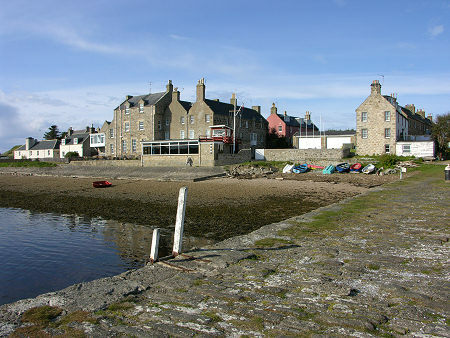 Today much of the village's life still revolves around the bay, though now as one of the major sailing and watersports centres along this stretch of coast. 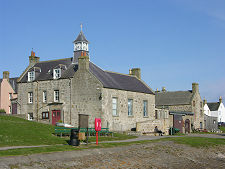 It is also home to the Royal Findhorn Yacht Club. 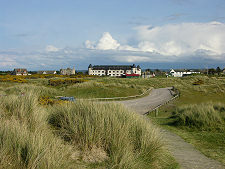 It is only a short walk through the marram grass and low sand dunes from the village to Findhorn's wonderful beach. To the west this extends only as far as the mouth of Findhorn Bay. But to the east it extends for seven miles of wide inviting sands. 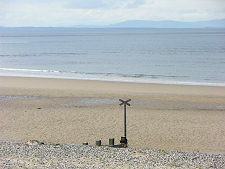 But there's more to Findhorn than an attractive village, a lovely bay and a superb beach. Internationally, it is perhaps best known as the home of the Findhorn Foundation. This is a community based on spiritual values, which was founded on a caravan site here in 1962. The Foundation has since grown considerably. It now includes 30 different businesses and initiatives, an education centre, and an eco-village comprising 29 ecological buildings. 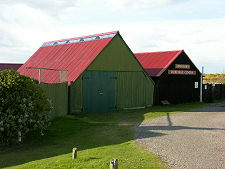 The Findhorn Foundation adds an extra dimension to Findhorn, and can be found on the south side of the village. Only one road leads to Findhorn, and a little south of the village are the traffic lights and landing lights signifying the end of the (still active) runway at Kinloss Barracks, home to 39 Engineer Regiment. 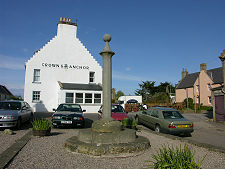 Kinloss was previously an RAF Station and a preserved Nimrod MR2 maritime patrol aircraft, XV244, can be seen parked on the North West corner of the base beside the Findhorn road. The presence of the airfield, blocking all landward access except the one road and the beach along Burghead Bay itself, has the effect of giving Findhorn a strongly island feel that adds to its already very attractive atmosphere. 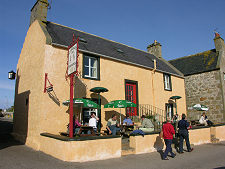 Findhorn can become busy, especially over summer weekends. 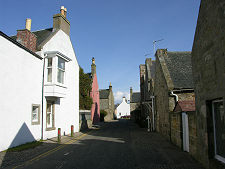 But if you can avoid the crowds the village offers an environment and an atmosphere that makes it a highly recommended element of any visit to north eastern Scotland.